More and more people are turning away from fast and frozen foods and moving toward increased time cooking at home, farm to table concepts, and discovering that they can cook restaurant-quality food without a culinary degree. This book takes the art of smoking, a process that can be intimidating to the beginner, and demonstrates just how accessible it is. 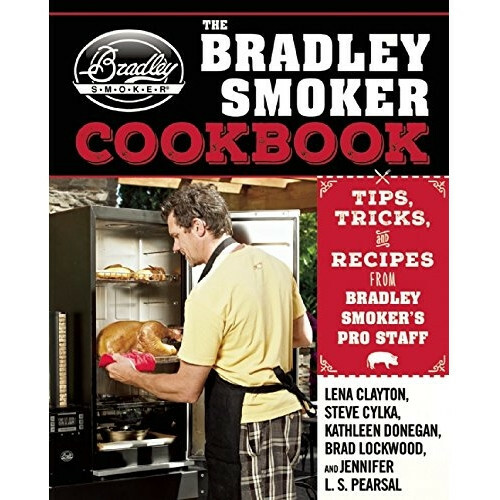 The Bradley Smoker Cookbook offers such recipes as: Sesame smoked duck over soba noodles, Smoky peach cobbler Bacon, Smoked buffalo chicken potpie, And much more! In partnership with world-renowned Bradley Smokers, which produces a range of smokers in various sizes, five of its online bloggers/pro staff will produce a cornucopia of recipes that anyone can duplicate with their own smoker--vegetables; appetizers; wild game; components that work in other stove-top, grilled, and oven-baked dishes; and a number of recipes for foods you wouldn't normally associate with smoking. 176 Pages long, this book is North-American focused, and so in the UK you need to read between the lines a little with the ingredients.